This was recommended by jaycee, who knows where to find really good wings. 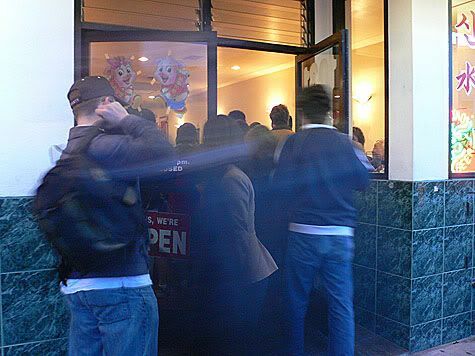 And the only reason that anyone comes to this utilitarian, brilliantly fluorescent and noisy inner Sunset restaurant is for the wings… well and for the dumplings and noodles. Get there early, before 6:30 or you will have to wait in line. 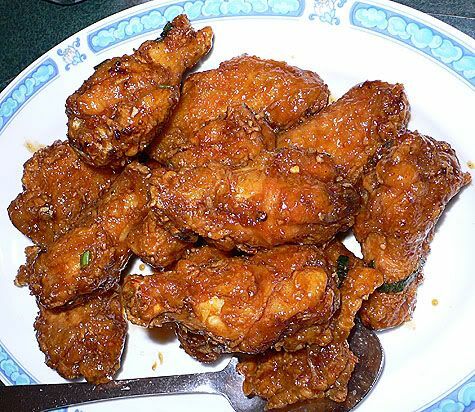 Some people say it is Korean-chinese, but if nothing else, it is a northern chinese restaurant that serves tantalizing and spicy food, specializing in dry fried chicken wings. 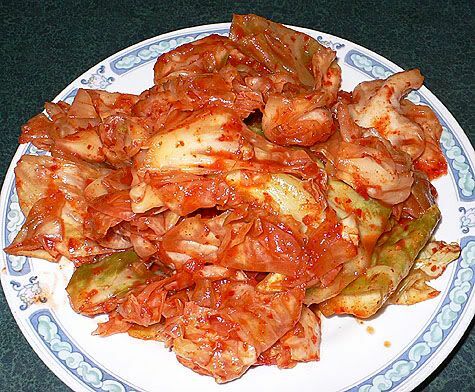 They start you off with a nice big plate of kimchee. 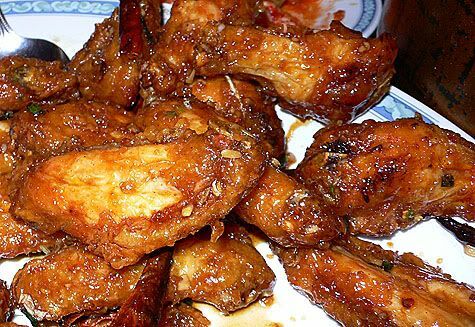 The wings are so good, but you have to let them sit for a minute upon arrival and savor the fragrant fried garlicky smells while the flavors marry and the sauce soaks into the crispy skin. Even so, prepare yourself because the first few bites involve the excruciatingly pain of hot freshly fried crispy skin burning against the roof of your mouth, then the hot juice from the meat fills your mouth causing further pain and puffing of air to try to cool off your tortured but jubilant taste buds. I was speechless with wonder at the combination of sweet, salty, spicy and tangy flavors which infused the crispy skin and succulent savory meat. The longer the wings sit, the spicier they become as the pods of dried red chili peppers break down and began to exude more heat. How do they achieve the delicate translucent crispy outer shell, that clearly is not skin. 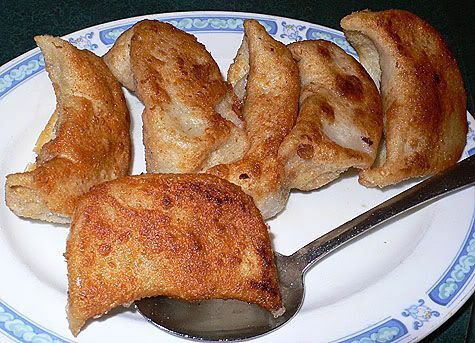 In fact, the rubbery porous skin normally found on wings is either magically transformed into the previously described transcendentally crispy crust, or removed and replaced with some sort of delicate and at the same time stout and courageous cornstarch and egg batter coating… whatever the case, it is amazing and addictive. 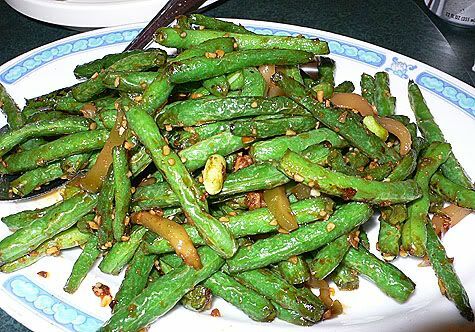 The dry fried string beans are a crisp and perfect side dish to the wings, as they are also addictive, but crunchy and a green vegetable, which is good to eat sometimes. We had the dry fried black bean sauce noodles, but they just weren’t as exciting as the other dishes, being somewhat bland, although the texture of the noodles was very good. I read somewhere that these noodles are hand-pulled, and want to go back to try more of these noodle dishes. 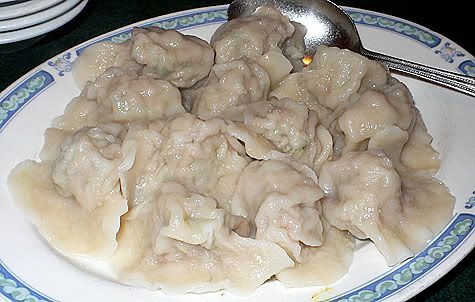 Also, you should try the hand made steamed shrimp and leek dumplings. 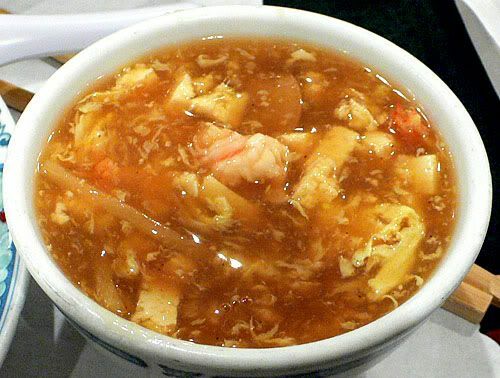 There is the list of hotels and best restaurant where you can get the most delicious food.